One day earlier, a little over 2 500 kilometers away, in the East Ukrainian village of Kryakivka, a 14-year-old girl, her 50 year-old mother and 64-year-old grandmother were killed by BM-21 Grad rockets from illegal militant formations backed by Russian forces. 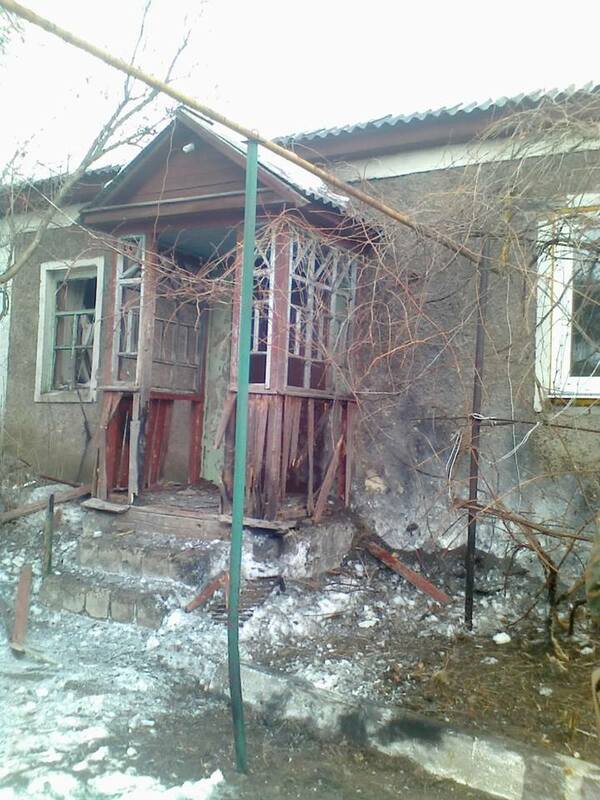 The so-called “separatist forces” were shelling the village from 3 to 6 AM. “So-called” because it’s impossible to establish which one of the Russian-sponsored and reinforced militant formations were at work, and whether this was the Russian army. Police officers that arrived at the scene found the bodies of the girl and grandmother in the yard, and the mother in house. The whole family is killed. While the police officers were examining the scene, the separatist militants opened fire at the Ukrainian police, attempting to prevent an investigation. They had a tank in the distance, but volunteer defense battalions called Kyiv and Aidar rebuffed the forces and allowed the police to conduct the investigation and collect the bodies. The separatist militants were firing at territory under Ukrainian control, violating a ceasefire regime announced on September 5. The got the Grad from a huge military base in Rostov from where Russia sends troops and weapons into Ukraine. These kinds of attacks happen every day: the militants fire on Ukrainian positions from the charred and abused piece of land that Putin is attempting to carve out of Ukraine, Ukrainian troops either fire back or not, depending on the orders. Almost each day, servicemen are killed. Civilians are killed, too. At least 4 200 of them, according to a December 15 UN report. The total losses of civilians and Russian and Ukrainian soldiers are around 11 500. While the rally in France was taking place, the capital of Donbas, Donetsk, was under fire so severe that the locals remembered worse shellings only during the summer in times of full-fledged battles. In the last few days, the Russian-backed forces have become much more active, and there’s no surprise: the 11th “humanitarian convoy” from Russia had entered Ukraine on January 8. Like all the other convoys, it was unchecked by Ukrainian authorities and the IRCR. Like all the other convoys, it brought reinforcements and weapons to the separatists and Russian troops. But Russian weapons have no problem crossing the border without any convoys: Ukraine’s national security and defense council counted that 104 such “convoys” crossed the Ukrainian border in November 2014 alone. Ukraine grieves for the victims of Charlie Hebdo. Ukrainian flags were of no little abundance at the Unity March in France. But there is also a question is in the air: are Europeans ready to say #JeSuisDonbas and #JeSuisUkraine to get rid of terrorism on the continent?